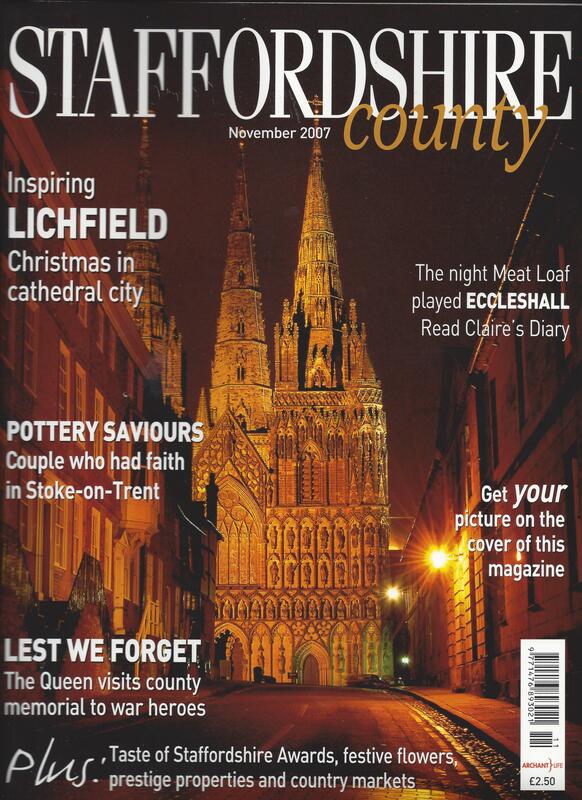 I wrote about the National Memorial Arboretum in the November 2007 edition of Staffordshire County Magazine. The then chief executive Charlie Bagot Jewitt showed me around and I fell in love with the place. I ended up working on a project with the Arboretum, Life Stories, to record some of the human tales behind the memorials. Contemplation, amid the peace of the memorials, the rustling of the leaves and the laughter of children playing in the open spaces, is at the heart of remembering those who paid the ultimate price for their country. And, at the National Memorial Arboretum, we will remember them – for the sake of the future. View a PDF of my feature about the National Memorial Arboretum here.